Wouldn't it be great if you could remove the nail color without stripping your nails of the moisture? Yes, it has now become possible with NewU Green Apple nail paint remover pads. The packaging is lightweight and thus, travel friendly, which means, you can enjoy different nail looks on the go. The pads are gentle on the nails and keep them moisturized so that they do not break or become weak. We would say - a must try product for all the makeup lovers out there! Explore the entire range of Nail Polish Remover available on Nykaa. 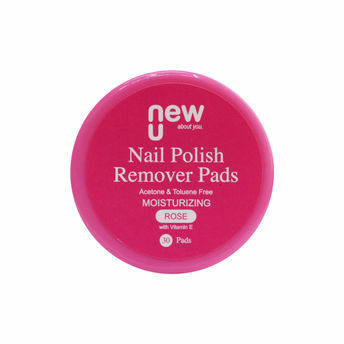 Shop more NewU products here.You can browse through the complete world of NewU Nail Polish Remover .